I read this because I am interested in the history of mental health and psychiatry. It gives an insight into some of the practice's and 'treatments' that went on in the Victorian era. Very interesting and informative. 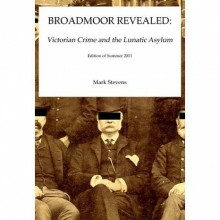 Mental illness and the Victorians? Oh, yeah. Sue pointed out that it was free today, and I couldn't resist.